Autodesk® Nastran® In-CAD, a CAD-embedded general purpose finite element analysis (FEA) tool powered by the Autodesk® Nastran® solver, offers a wide-range of simulation spanning across multiple analysis types. It delivers a high-end simulation in a CAD-embedded workflow so engineers and analysts can make great products. 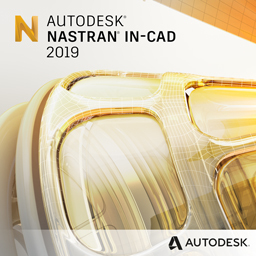 Embedded in your CAD system – Autodesk Nastran In-CAD is a CAD-embedded simulation tool featuring true geometry associativity and a single-window CAD/FEA experience. By offering an embedded workflow, Autodesk Nastran In-CAD streamlines processes allowing you to maintain your productivity, and eliminate compatibility issues while equipping you with an industry-recognized, professional-level FEA platform. Flexibility across multiple CAD platforms – Unlike other single-platform simulation products, Autodesk Nastran In-CAD offers the flexibility to share a single FEA tool across multiple CAD solutions and projects, providing a consistent user experience and consistent results regardless of the CAD environment*. Maximize your investment – Autodesk Nastran In-CAD enables users to maintain a single FEA platform for multiple CAD-embedded simulations, reducing the initial cost of investment and subsequent yearly maintenance. The ease of doing business becomes a valuable factor in empowering engineers and analysts to make great products. Autodesk Nastran In-CAD offers a value-enhanced package of licensing models, product obtainability and pricing. If you are interested in viewing a software demonstration of Autodesk® Nastran in-CAD, please contact our sales team. Applied Engineering is happy to schedule a face-to-face or web demonstration at a time that is convenient for you. Contact us if you are interested in purchasing Autodesk® Nastran In-CAD. Applied Engineering is authorized to sell Autodesk products throughout the United States and has offices in Minnesota, North Dakota, South Dakota and Wisconsin.